Every day thousands of new people join viral mailers. FreeAdsForAll Viral Mailer is on the cutting edge of these programs, bringing in new members to view your affiliate and splash pages. FreeAdsForAll Viral Mailer is destined to be a major player in the Internet Marketing world. FreeAdsForAll Viral Mailer is FREE: You just can't beat the appeal of no-cost online advertising. FreeAdsForAll Viral Mailer is Proven: Thousands of members are benefiting from promoting multiple web pages and banners. FreeAdsForAll Viral Mailer is a Brand Booster: Brand yourself and your business to increase your trust and recognition. FreeAdsForAll Viral Mailer is Viral: Traffic increases automatically and exponentially. FreeAdsForAll Viral Mailer is Targeted: You'll only get live, real-time targeted traffic. Real people visiting your site. No fake traffic here. 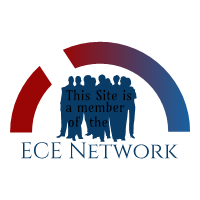 This Site is a Partner of: Task Force Echo Marketing LLC. Free Ads For All Viral Mailer is NOT a Pyramid Scheme, MLM or a get-rich-quick program. All we require for you to use our services is to be active meaning login once every 30 days. We accept credit cards for purchases through Solid Trust Pay. And we accept Bitcoin through STP and Coinpayments! Copyright © 2019. FreeAdsForAll Viral Mailer. All rights reserved.